Every yard is different, and some present particular issues that can make designing functional, inviting outdoor living spaces a challenge. If you are plagued with overwhelming landscaping dilemmas that seem impossible to overcome, read on for a bit of inspiration and effective solutions to six of the most common challenges Southern California homeowners face. Most homeowners would love to have more privacy in their front yards or backyards, but it can be challenging to create privacy without taking away from the overall look of your landscaping. Some of the most effective ways to enhance privacy are either cost prohibitive (like an attractive, new privacy fence) or not very visually appealing (like the privacy fabric often seen on chain link fences). Trees and shrubs are a natural option that is often more affordable than nice fencing, but either of these options can take years to grow enough to really do their job of blocking your neighbor’s view. Vines and bamboo are much faster growing and offer affordable options for this common landscaping challenge, and both of these choices can enhance your yard’s visual appeal. Patio curtains and bamboo rolling shades installed on a covered patio are options that provide immediate privacy at an affordable cost, or — if a tight budget is not an obstacle — you can go an extra step and transform your patio into a fully enclosed living space for enhanced privacy and function. 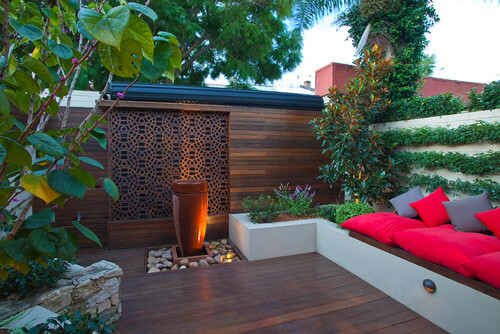 Check out Landscaping Tips: How to Increase Privacy in Your Yard for more inspiration and ideas. Runoff tends to get a lot of press due to its involvement in both water waste and water pollution. Runoff can carry pollutants to bodies of water, deposit sediment in your neighbor’s yard, cause landscape-devastating erosion, increase your water bill and — if a drought-savvy neighbor turns you in or a water official drives by — it could land you with a hefty fine. The clay soil found in and around San Diego County can be a bit more prone to allowing runoff, since water does not always readily absorb into the soil, so we need to be particularly careful about overwatering and knowing our property. Avoiding overwatering may be all you need to do to avoid runoff, while also conserving water and lowering your water bill. It is the runoff that is not related to overwatering that can be a particular challenge for homeowners trying to design their landscaping. Homeowners can take on this challenge and avoid runoff and erosion that are not caused by overwatering by installing paving stone retaining walls, bringing in a professional landscape designer to ensure proper drainage in your design, and taking steps to properly landscape slopes and hills. Check out How to Control Erosion and Runoff for even more tips. Slopes and hills almost always pose a challenge to homeowners trying to design landscaping that is both attractive and functional. A landscape designer can certainly help in this situation and may be necessary if erosion, runoff or drainage is an issues. Because erosion is such an issue in sloped yards, soil stability should be at the root of your landscape design. Particularly steep slopes can be stabilized with a retaining wall, which can also serve as a sitting wall and be incorporated into a paving stone patio or other outdoor living area. You can also stabilize the soil by planting the slope with a sturdy, fast-growing ground cover or native plants. Alternatively, if you prefer a low-maintenance option that requires no watering and never having to climb the hillside to pull weeds, you might want to consider installing artificial turf. 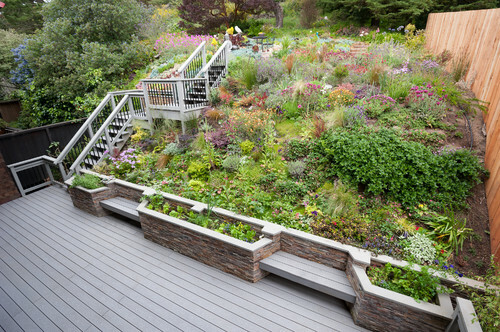 If you have a long slope, you might consider bringing in a contractor who can transform it into terraced levels that can be fortified with paving stone retaining walls and used for planting a vegetable garden, creating separate outdoor entertaining areas, installing a multi-level patio, growing fruit trees or simply planting with drought-tolerant plants. 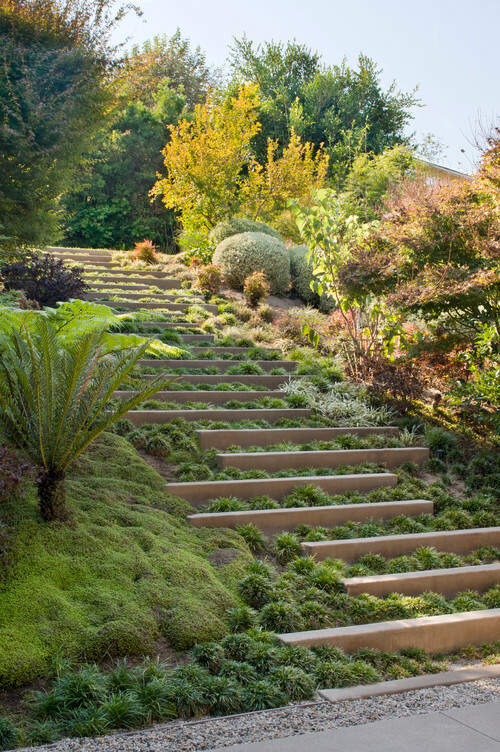 Keep in mind that you may need to also include stairs or an automatic irrigation system into the design to allow you to maintain what you plant on the hillside. Any homeowner who has tried to grow a natural grass lawn, a vegetable garden or a colorful flowerbed in the shade knows just how difficult it can be to get anything to grow in areas that receive little sunlight. There are plants that will grow in the shade, and many of them are quite attractive, but you have to know what you are looking for or enlist the help of a professional to boost your chances of achieving visually appealing greenery in the shadiest parts of your yard. If you want to simply avoid the headache of trying to grow a shade garden, you can get the same lush, green look of a natural grass lawn without any of the shade-related challenges by installing artificial grass. This is a simple solution that allows you to enjoy the benefits of a natural lawn without the watering, weeding, mowing and other maintenance tasks — not to mention the constant reseeding in an attempt to keep it looking full and healthy in the shade. Another plant-free option is to install brick, river rock or paving stone patios in shady spots, which can make the area more functional, increase your entertaining space and provide you with an outdoor living area that you can enjoy more comfortably during Southern California’s hottest months. If you have your heart set on confronting the shade garden-challenge with the best of your gardening skills, look for shade-loving ground covers like vinca or ivy, perennials like ferns or hostas, annuals like impatiens or pansies, and succulents like woodland sedum or snake plant. Small backyards can seem like a challenge at first, but this is one landscaping dilemma that you can easily overcome. While you may not be able to fit every landscaping feature you had hoped, such as a large swimming pool, putting green or playground, you might be surprised at just how functional and full of features a small yard can be. 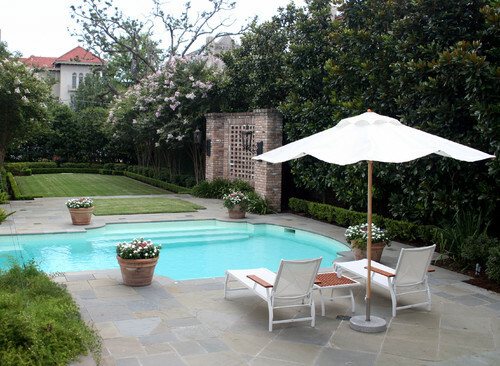 If a small backyard is the landscaping design problem that is plaguing you at the moment, the first step in confronting this challenge is to reframe your thinking to include all of the positives of having a small yard. Homeowners with small backyards can benefit from less time spent on yard maintenance, lower water requirements, and a cozy, inviting atmosphere that can sometimes be difficult to achieve in a large, open space. The trick to maximizing these small spaces is to make every inch count and, of course, to have a plan. There is no room — literally — for haphazardly adding features without an overall design in mind, so make sure you know what you want to include and how you are going to include it before you break ground. If you plan on spending time outdoors or doing any entertaining, a patio should be at the center of your design, and all other features should be designed to fit around and complement this important feature. Because the patio will likely be smaller than those installed in larger yards, you have the added benefit of using higher-end materials that may have been outside of your budget otherwise. For example, if you thought that stamped concrete or paving stones (which come in around the same price) were over your budget, you might be pleasantly surprised at just how affordable these options can be when installing a smaller patio. Small backyards usually do not have much room for a lawn, but if a grassy area is on your list of must-haves, consider installing a small patch of artificial turf or alternating strips of synthetic grass and paving stones to create a space that can function as a patio area and an appealing hangout (and restroom) for your furry friends. Greenery is a must for small spaces, but can take up a lot of room if not planned well. To efficiently include foliage in your overall design, consider creating a vertical garden on your fence with hanging wall planters specially designed for growing fruits, vegetables, herbs and flowers with a minimal footprint. You can also opt for container gardening, which allows you to add color, texture and greenery that can be arranged in a way that creates cozy seating areas or separates parts of your yard with different functions. Including features that do double duty is always a plus in a small yard, so another option is creating a planting border with a paving stone garden wall that is the perfect height to also function as bench seating for guests. While you are thinking of features that can perform more than one function, you might also want to consider installing a fire pit that either comes with or has an option for adding a grill grate to use it for outdoor cooking, as well as gathering around while entertaining. 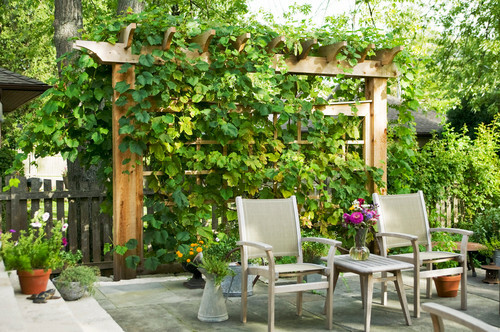 Small Backyard Landscaping: 10 Tips for Making the Most of Small Outdoor Living Spaces. Whether they live near the beach or in the desert, Southern California homeowners often have to contend with wind while trying to enjoy time outdoors. Boundary fences can provide some protection, but a solid fence will really only help if your outdoor living space is in close proximity on the lee side; otherwise, the wind coming over the fence may be just as disturbing as if there was no fence at all. Densely planted, tall, evergreen shrubs and trees are a natural option that usually works better, but if you cannot wait for them to grow, you might consider a slatted wall — like the one pictured in the photograph above — to make your outdoor entertaining areas more comfortable on windy days. 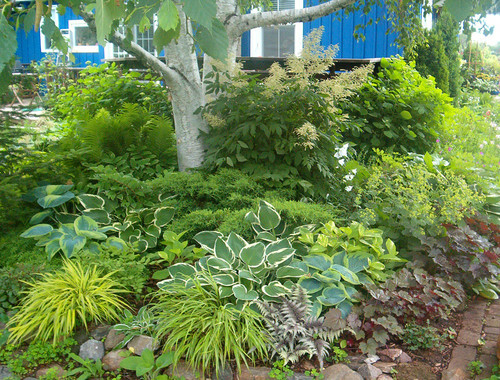 What landscaping challenges have you faced in your front yard or backyard? 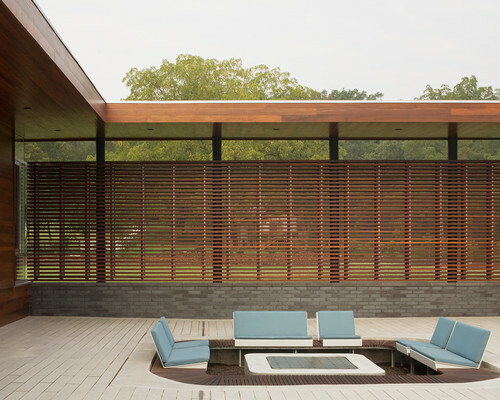 What creative solutions did you use to overcome these challenges and create functional, attractive outdoor living spaces?